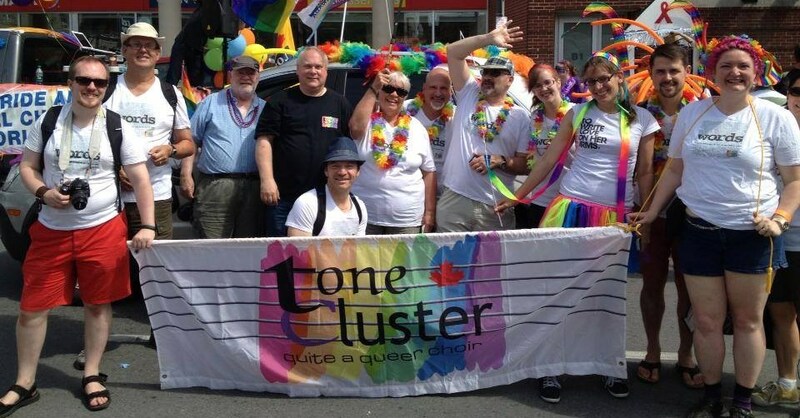 Tone Cluster is a 35-voice auditioned choir for queer people and their allies in the Ottawa area. We pride ourselves on creating a queer-positive environment where singers can be themselves while striving for choral excellence. Our core values include creativity, fun, excellence, a caring community, diversity and spirit. 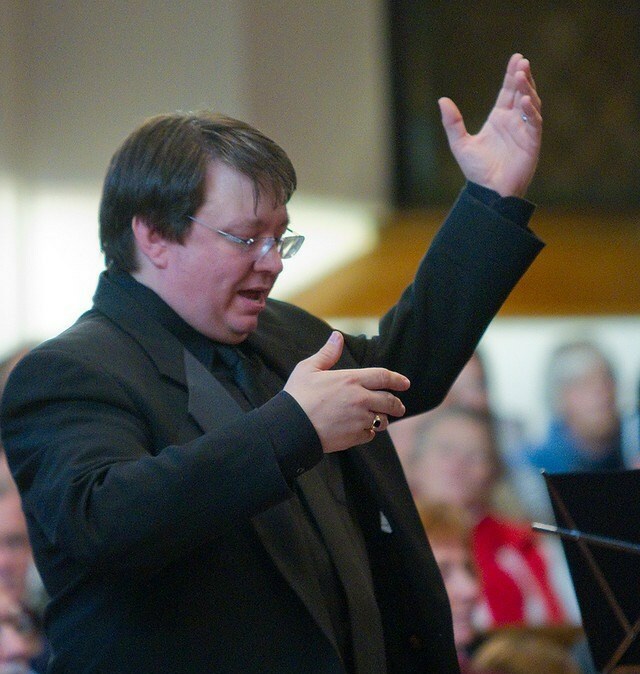 Our repertoire reflects our values and is wide-ranging and eclectic, from madrigals to Manhattan Transfer arrangements by way of world music and contemporary Canadiana. Tone Cluster is a proud “out” choir! 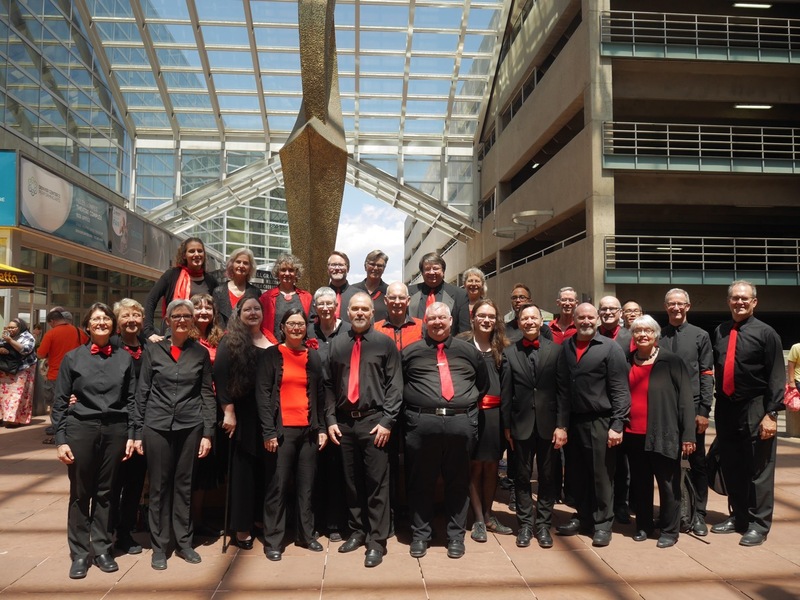 We make sure that our audiences are aware of our point of view when we sing… and we trust that you, as a queer singer or straight ally, are proud to support a queer choir. Our concerts in this 2018/19 season will feature a jazz music concert with Rakestar Arkestra, our 25th! anniversary!! concert!! 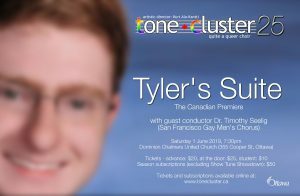 !, and the Canadian premiere of Tyler’s Suite directed by Tim Seelig of the San Francisco Gay Men’s Chorus… check it out on Our Season page. 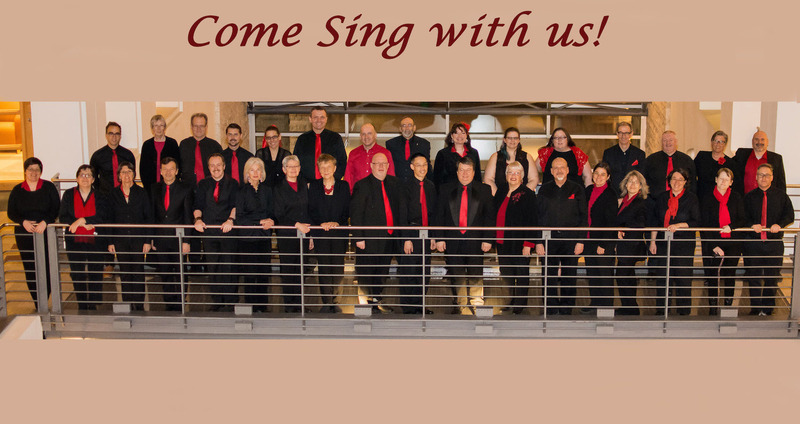 If you might be interested in singing with us, we’d love to see you in the fall. We also have auditions at other times throughout the year – for more information, please visit our Audition page. If you’d like to volunteer, make a donation or advertise with us, we truly appreciate your support. Please visit our Support Us page. 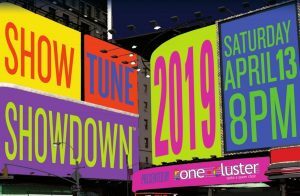 Tone Cluster now has a full sponsorship programme. For more information, please see the Sponsor Us page.